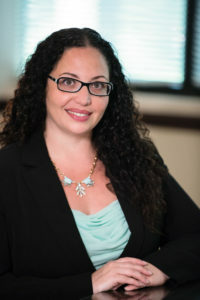 Announcement: Diana Castrillon joins Freeman Injury Law – Diana I. Castrillon, P.A. It is my pleasure to announce that I have now joined Freeman Injury Law where I will be founding and managing their Claimant’s Workers’ Compensation department. In my seventeenth year of practice I have found a wonderful opportunity to expand and grow personally and professionally. Workers’ Compensation has always been and continues to be my true passion as an attorney. This is a pivotal time in the industry where more and more attorneys are entering the field of Workers’ Compensation. It is important for me to provide my experience to a firm that has the reach to allow me to pursue this passion on a large scale, while still continuing to provide excellent representation for injured workers in the State of Florida. With fully-staffed offices in Miami-Dade, Broward, Palm Beach and Orlando, I look forward to continuing to work with and serve all of you. Below is my updated contact information. I am excited for what’s ahead and urge you to contact me anytime.